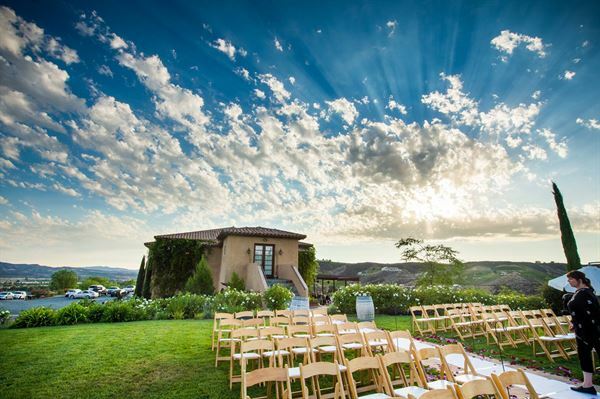 Gershon Bachus Vintners is the perfect estate vineyard for your very exclusive and secluded affair. We will accommodate the bridal party with a private area that can be utilized for hours before the ceremony. At that special time, you will walk from the waiting area down the aisle to a beautiful handmade stone and iron gazebo. For your bridal party, a beautiful landscaped walkway leads to the runway. This supreme staging area sets the mood and tempo for the wedding. Your guests will have a full view as they watch from the lush grassed areas surrounded by magnificent and breathtaking vineyards and mountains.